A lot of people think that blogging is easy, but if you’ve started one yourself, you’ll know that isn’t the case. Blogging takes time and work if you want it to be effective. There are thousands of blogs online today and it’s pretty easy to differentiate between the good ones and bad ones. 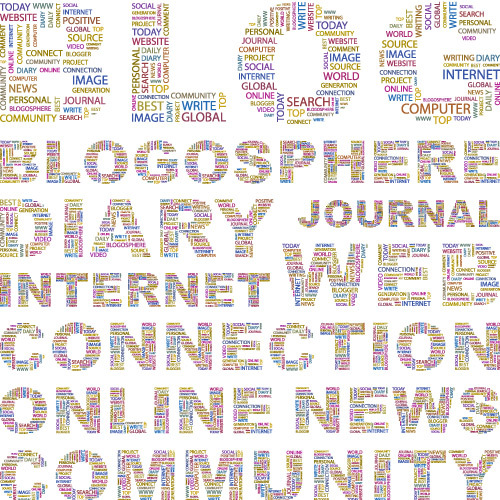 So what makes a blog good and what can you do on your own blog to make it better? Below are 5 "sins" of blogging you should watch out for. A blogging schedule is important. If you consistently produce content daily for a month, then post nothing for 3 months, your readers may think you’ve given up. Whether you have one reader or thousands, a consistent posting schedule is important because it helps your readers get into a pattern. Make sure you set time in your schedule for your blog so you can produce content on a regular basis. You also should make sure your topics are consistent. If you write a food blog, your readers will more than likely be uninterested in your weekend beach getaway. Make sure you're blogging about topics relevant to your blogs main focus. There is nothing wrong with trying to make money off your blog, but littering it with ads can be a distraction to your readers. People want to read your content, not click on your advertisements. Keep advertisements to a minimum and place them where they are less likely to be a distraction. A big part of blogging is the conversation. If a reader leaves a comment on one of your posts, be sure to acknowledge the comment by either replying to the comment they made, writing a comment on something they have written, or dropping them an email. The reply doesn’t have to be formal or long winded, but your readers will definitely appreciate the fact you acknowledged them. People read blog content in a lot of different ways. Not everyone wants to type in your link to read your new posts. Some people prefer using RSS readers, such a Google reader, or getting email updates for new posts. Give your readers a wide variety of options to get your blog content. This seems like an obvious one, but copying someone else’s work happens more often than you would think. In addition to being illegal, it will make you look unoriginal and unprofessional. Just don’t do it! We are not saying that you can’t write your own take on an existing topic, or write a reaction to someone else’s work. There are many different opinions on certain subjects and you should feel free to share your perspective, but copying another person’s work word for word is not. Be original and write your own pieces. Avoiding these 5 blogging sins will help you establish a blog that is more professional, engaging and useful while creating the foundation for a growing base of readers. These are just a few blogging sins. What would you add to the list?